The buildings that shape Dublin’s city centre. DUBLIN IS CELEBRATED for its diverse architecture. The most famous parts of the city’s blueprint are the grand Georgian buildings and stately government edifices. But people pay less attention to the modest blocks of flats built by what was then the Dublin Corporation. At the turn of the twentieth century, Dublin faced terrible overcrowding. Slums developed rapidly across the city, vast numbers inhabited vacant Georgian mansions. Mass migration from rural Ireland to the capital led to a housing crisis in the years preceding the 1932 general election. A series of political debates ensued about how this social issue could be resolved. A solution was devised by Herbert G Simms, who held the position as city architect with Dublin Corporation from 1932 until 1948. 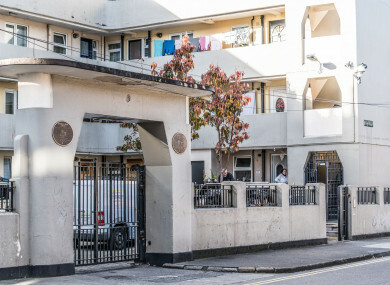 Following the success of Dublin Corporation’s first attempt at flat-block social housing in Marino, Simms designed several developments of the same function for Dublin’s inner-city dwellers. Most of these blocks remain intact, today. His multi-storey designs can be seen throughout Dublin. The most famous complexes include the Mercer House flats, Henrietta House, Chancery House and St Audoen’s House City Council flats. The buildings are defined by a blend of architectural styles recognised in both Dutch and British flat-blocks of the same period. Email “Double Take: The striking Corporation flats designed by Herbert G Simms”. Feedback on “Double Take: The striking Corporation flats designed by Herbert G Simms”.